A common question many people have is “Does Acupuncture Hurt?” And for good reason..the idea of needles piercing the skin is not pleasant. 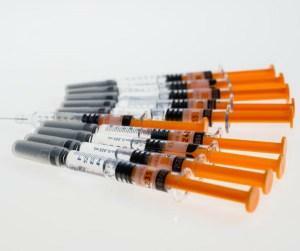 Everyone has had a moment of feeling a flu shot or a medical syringe. So being weary of needles is understandable. These sensations can be directly at the needle area or it may be felt in another area of the body where there is no needles present. The reason you might feel the above needle is due to the diameter of the needle itself. However, with Acupuncture needles, they are much slimmer and thinner. As you can see, there is a dramatic difference between the medical syringe and the standard acupuncture needle! 28.25mm to be exact. That is a HUGE difference! So don’t fret about feeling the Acupuncture needle. There much less diameter to feel. Generally, you’ll only feel the sensations listed above. Rarely, you might briefly feel tenderness on insertion. Past that though, one shouldn’t be feeling the needles at all. 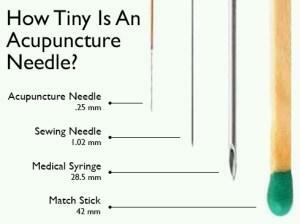 Remember, the Standard Acupuncture needle is about .25mm. However, there are still thinner gauges! 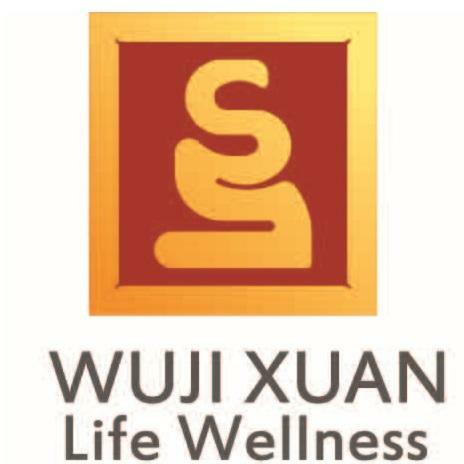 At Wuji Xuan Life Wellness, we understand people don’t want to feel the needles. It is with this in mind, we use the thinnest gauges of acupuncture needles for our treatments. Health, comfort & relaxation can happen the same time. Answering Your Question of "Does Acupuncture Hurt?" With the article, we hope to have answered any misconceptions you've had with Acupuncture & "does acupuncture hurt". It is normal to be fearful of things we don't understand. Having light shed upon the subject can change our perspective. At Wuji Xuan Life Wellness, we aim to make Acupuncture & Traditional Chinese Medicine approachable. In making it approachable, we hope to work with you & make the experience a positive one! Every Acupuncture treatment is unique to the individual. Due to this, Traditional Chinese Medicine is practiced through a professional such as a Registered Acupuncturist (R.Ac) or a Traditional Chinese Medicine Practitioner (R.TCMP). Receive your formal TCM diagnosis via questions, pulse & tongue to get a customized treatment. Book your individualized Community Acupuncture session today.